This month we published Kathy Mills’ new book Literacy Theories for the Digital Age. Here’s a post about the book from the author. Let me tell you a few stories from ‘behind the scenes” of my new book: Literacy Theories for the Digital Age: Social, Critical, Multimodal, Spatial, Material and Sensory Lenses. Printed just in time for Christmas 2015, this book will encourage education academics, PhD students, teachers and other curious readers to see literacy differently. The distinguished Professor Allan Luke once said to me, “You know, Kathy, there is always one person in the world who will read your book”. It’s true. My mum, Marie Seltenrych, who is also an author, has always been my biggest fan. The book navigates a vital collection of theories that have transformed conventional notions of alphabetic literacy. Drawing from fields that include social theory, cultural geography, cultural anthropology and philosophy, I demonstrate how literacy is much more than the human behaviours of reading and writing of words. There are six essential theories, but I’ll jump here to my favourite, the sixth – sensory literacies. The hierarchisation of the senses in Western cultures has privileged visual conceptions of literacy, when in fact, humans communicate through multiple sensorium of the body. From the ancient cuneiform of Sumarians in Mesopotamia to the weaving of “talking knots” by quipu, from the Inca Empire literacy, literacy is a richly sensorial practice (See David Howes preface to the book). 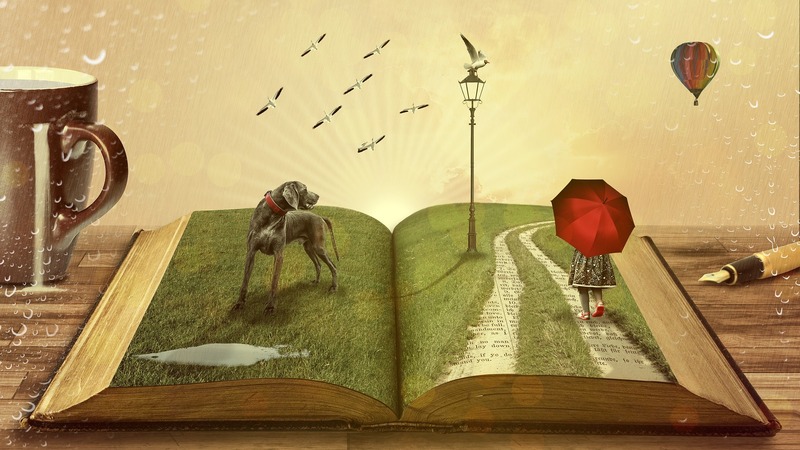 From tablet touch screens, to motion-sensing video games, I argue that literacy involves the engagement of the whole body, breath, haptics, and even locomotion. We have a plethora of digital technologies that accentuate this principle. It was actually during the writing of the “Sensory Literacies” chapter of the new book– which is essentially about the entanglement of the body and the senses in literacy practices – that I started to notice how much I need to eat when I write. It helps my brain. I eat to avoid writer’s block – yes, the block that morphs into a delicious block of chocolate on the desk. Some of my writer’s block fragments into dozens of stray chocolate particles that reappear across the surface of the keyboard for days afterwards (along with the ants). I also consumed an awful lot of caffeine. No coffee = no workee. People say that academics need to “brand themselves”. What is my brand? How does my book reflect my brand? Apparently, your brand name should be the colour of your pants, plus what you last ate. In my case, my brand would have to be “Denim Blue Cookies and Cream Protein Bar – Australian made”. Lucky it’s morning tea time, as a few hours ago, my brand would have been “Red scrambled eggs”. Meh. The hardest thing about writing this book was the editing. Why? Well, let me tell you, when present, past and future walk into a book, boy, it gets tense. You might wonder about why I chose such a long title of my book: Literacy Theories for the Digital Age: Social, Critical, Multimodal, Spatial, Material and Sensory Lenses. It’s a long title, but it’s better than short book titles. For example, what about Stop Arguing by Xavier Breath, or I Hit the Wall by Isadore There. My book title is a whole lot better than Geology by Roxanne Minerals. 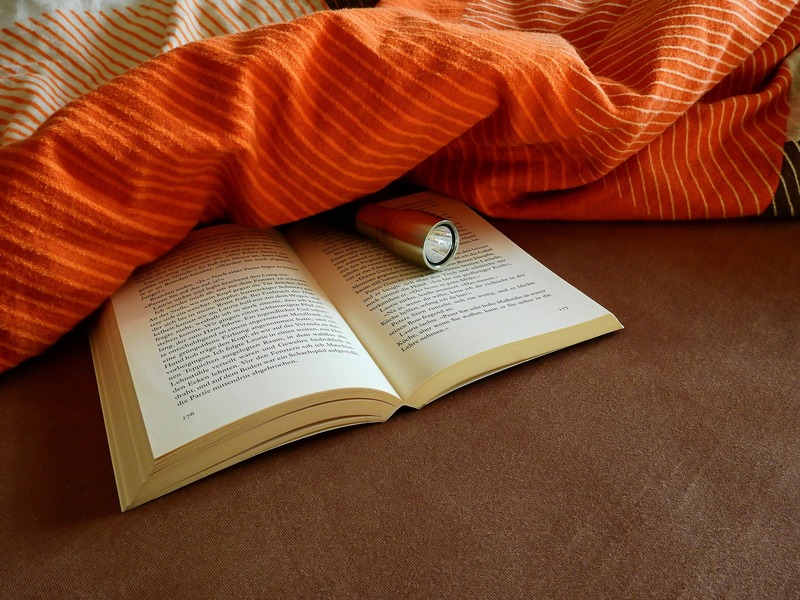 What you see is what you get – you don’t need to read the contents page, saving energy for the reader. Search engine strategy – all the key words are in the title – can’t miss it. Because everyone says “choose a short and memorable title”. Like you, I’m a rebel. If you would like more information please see our website. 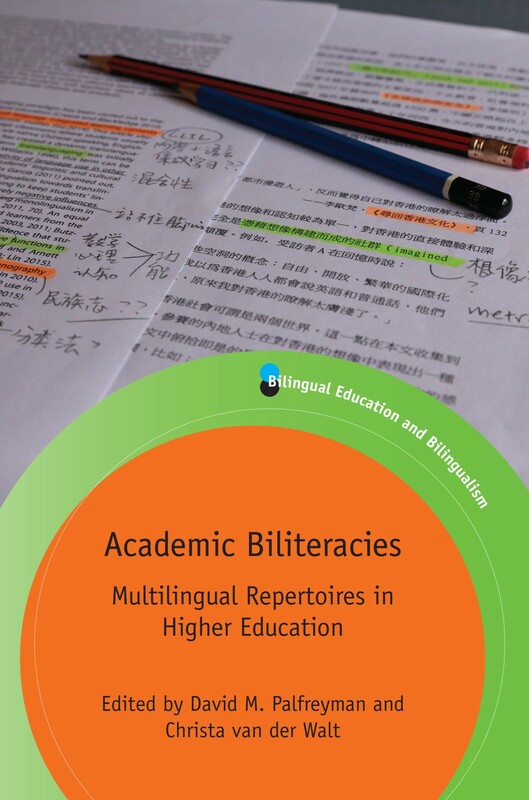 You might also be interested in Kathy’s previous book The Multiliteracies Classroom. The publication of The Multilingual Turn in Languages Education edited by Jean Conteh and Gabriela Meier this month marks the 40th volume of our New Perspectives on Language and Education series. Here, the series editor Viv Edwards writes about how the series has evolved over the years. The titles that form part of the New Perspectives on Language and Education series tend to cluster around three main themes – English as an international language, modern language teaching and multilingual education, with a host of other issues hovering around the edges that refuse to be pigeonholed in this way. Identifying and disseminating new perspectives on ‘big’ topics like these requires Janus-like qualities. On the one hand, you need to recognize proposals which, while resonating with issues that you know are trending, hold the promise of taking things a few steps forward, not simply being more of the same. On the other hand, you need to be prepared to take risks: is this something new and original with the potential to make people rethink long-held assumptions? As Multilingual Matters prepares to publish the 40th title in the series, this seems a good time to offer my own particular take as editor. Looking first at the new and original, NPLE has a proud record. In terms of ‘hot topics’, Testing the Untestable in Language Education, edited by Amos Paran and Lies Sercu, and Joel Bloch’s book on Plagiarism, Intellectual Property and the Teaching of L2 Writing have made important contributions to debates in two fiercely contested areas, while Andrey Rosowsky’s Heavenly Readings focuses on literacy practices associated with Islam, an issue which has received remarkably little attention to date. The quality of the contribution made by any individual title lies, in my opinion, in its power to challenge readers to revisit and even reconsider deeply held beliefs. An excellent example is Jean-Jacques Weber’s Flexible Multilingual Education, which controversially places the needs and interests of children above the more customary approach which focuses on individual languages. In the case of topics such as English as an international language, it is possible to argue that the impact of NPLE titles is cumulative. Let’s take some recent additions to the list that specifically set out to bridge the gap between theoretical discussion and practical concerns: Aya Matsuda’s edited collection Principles and Practices of Teaching English as an International Language and Julia Hüttner and colleagues’ Theory and Practice in EFL Teacher Education. In the case of Julia Menard Warwick’s English Language Teachers on the Discursive Faultlines the focus is on different constituencies and stakeholders as she compares controversies around English as a global language with similar tensions surrounding programmes for immigrants. Another interesting cluster of titles concerns innovations in pedagogy and the management of multilingual classrooms. Take, for instance, Managing Diversity in Education, edited by David Little and colleagues; Culturally and Linguistically Diverse Classrooms where Jennifer Miller and colleagues explore new dilemmas for teachers; and Kathy Mills’ The Multiliteracies Classroom. 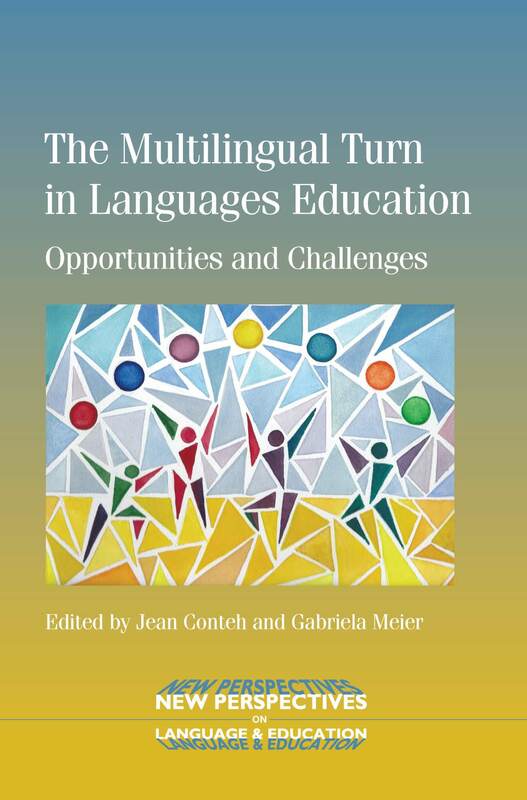 The 40th and most recent addition to the NPLE list, Jean Conteh and Gabriela Meier’s The Multilingual Turn in Languages Education is a welcome addition to a strand of scholarship helping to develop a clearer understanding of classroom challenges. Books such as these are underpinned by important political questions. In other examples, however, the political theme is even more clearly foregrounded. Particular personal favourites include The Politics of Language Education, edited by Charles Alderson which, with the value of hindsight, looks at the institutional manoeuvres that shape projects charged with innovation and change; Maryam Borjian’s English in Post-Revolutionary Iran, which chronicles the changing attitudes to English teaching and qualifies as the only academic book I have ever read which could be described as a page turner; and Desiring TESOL and International Education by Raqib Chowdhury and Phan Le Ha, which raises uncomfortable issues of market abuse and exploitation. Innovations covered by NPLE authors go beyond pedagogy and policy to include new approaches to data analysis. Roger Barnard and colleagues have been responsible for a trilogy of highly original edited collections: Creating Classroom Communities of Learning, Codeswitching in University English-Medium Classes and Researching Language Teacher Cognition and Practice. Each of these edited collections aims to promote dialogue around a particular theme by inviting a second researcher to interpret the same data, or to comment on the approach of the first author. Occasionally we have the opportunity of updating important works by major international authors. A case in point is the second edition of Gordon Wells’ ground breaking The Meaning Makers which sets the findings of the original study of language and literacy development at home and school in the context of recent research in the sociocultural tradition, also drawing on new examples of effective teaching from the author’s collaborative research with teachers. 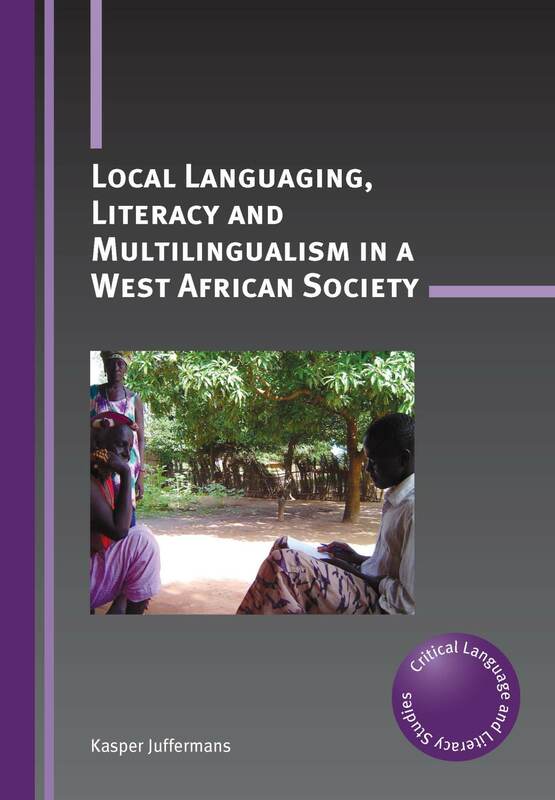 Another good example is Sociolinguistics and Language Education, edited by Nancy Hornberger and Sandra Lee McKay, a state-of-the-art overview of changes in the global situation and the continuing evolution of the field. While decisions about what to take forward have to be commercially sound, Multilingual Matters values coverage not only of global interest but also takes pride in showcasing more local issues. Obvious examples of this include Lynda Pritchard Newcombe’s case study of Social Context and Fluency in L2 Learners in Wales; Anne Pitkänen-Huhta and Lars Holm’s edited volume on Literacy Practices in Transition, which showcases perspectives from the Nordic counties; and Minority Populations in Canadian Second Language Education edited by Katy Arnett and Callie Mady. As someone who has worked for longer than I care to remember with both large international publishing houses and Multilingual Matters, one of the last of a vanishing breed of small independents, it seems fitting to end on a personal note. Many readers of this blog will be aware that it is now just over a year since the death of Mike Grover, who together with his wife Marjukka, founded Multilingual Matters over three decades ago. Their finest legacy, embodied in their son Tommi and his current team, is the company’s continued openness to the new, the innovative and even, very occasionally, the quirky. Those of us privileged to work as editors and authors with Multilingual Matters appreciate the opportunity to develop a personal relationship with knowledgeable and committed individuals rather than anonymous, corporate players. Long may this last! Double figures for MM Textbooks series! 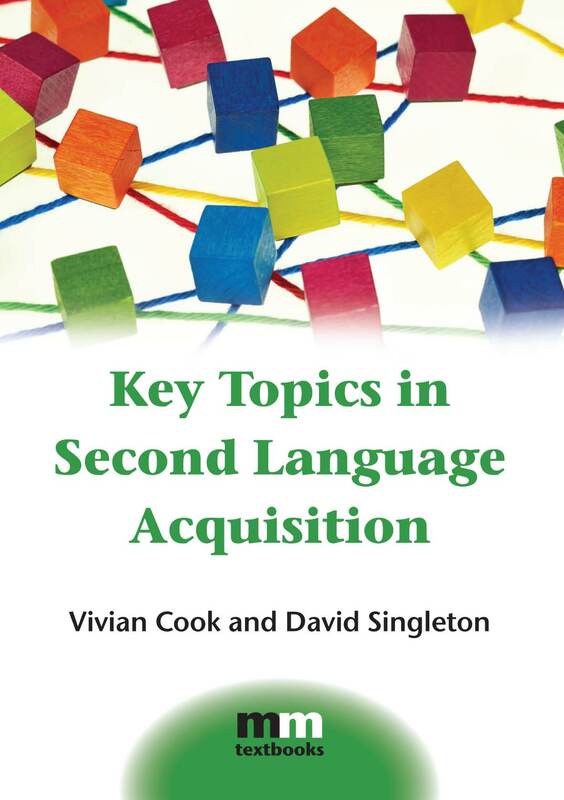 Next month we are publishing Key Topics in Second Language Acquisition by Vivian Cook and David Singleton. This text provides an introduction to the most important topics in SLA research. This book marks the 10th in the MM Textbooks series which began with its first book in 2008. The textbook series aims to bring the topics of our monograph series to a student audience. Written by experts in the field, the books are supervised by a team of world-leading scholars and evaluated by instructors before publication. Each text is student-focused, with suggestions for further reading and study questions leading to a deeper understanding of the subject. We started the series off in 2008 with Allyson Jule’s A Beginner’s Guide to Language and Gender which gave students a broad introduction to the study of language and gender. 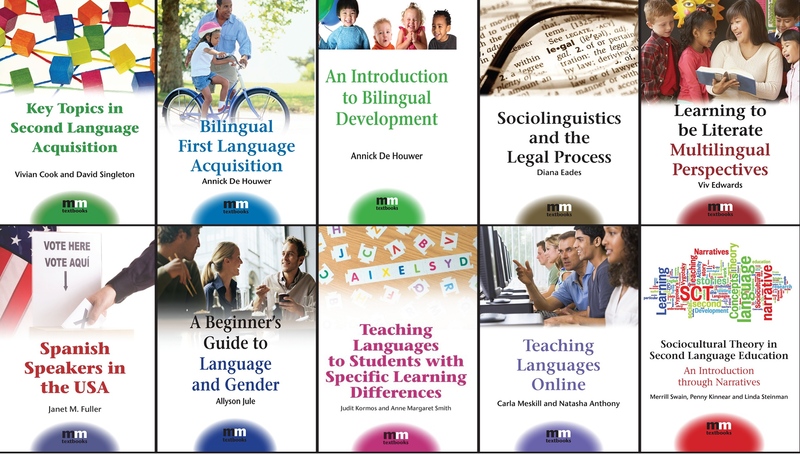 Next came textbooks on bilingual first language acquisition, multilingualism and literacy, sociolinguistics and the law and teaching languages online. Merrill Swain, Penny Kinnear and Linda Steinman wrote the 7th textbook in the series, Sociocultural Theory in Second Language Education. Neomy Storch of the University of Melbourne calls their book “a most welcome addition to the growing literature on sociocultural theory” and “an accessible and highly engaging” introduction to the topic of sociocultural theory. Judit Kormos and Anne Margaret Smith’s book Teaching Languages to Students with Specific Learning Differences aims to provide useful advice for language teachers working with students with various kinds of learning difficulties. Spanish Speakers in the USA by Janet M. Fuller examines the issues of language, culture and identity for Spanish speakers in the US. Key Topics in Second Language Acquisition is due to be published in early April. This and all our textbooks are available as inspection/desk copies and can be ordered on our website: http://www.multilingual-matters.com/about_inspection.asp. 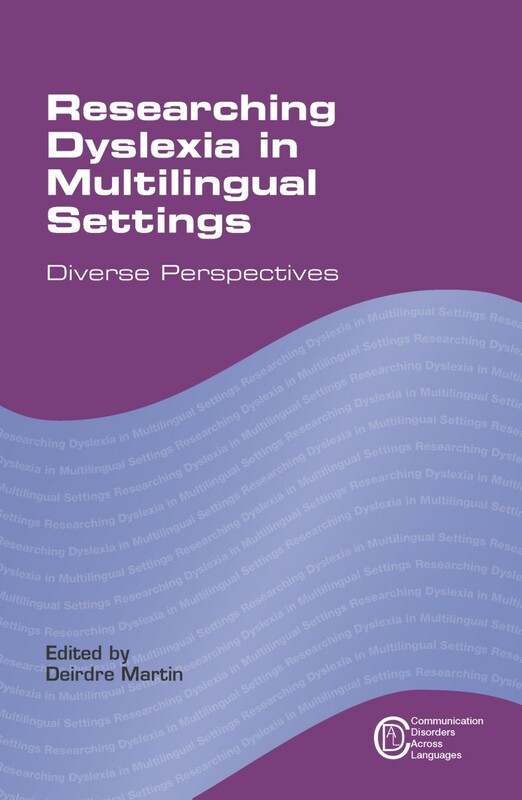 A few months ago, we published Deirdre Martin’s latest volume Researching Dyslexia in Multilingual Settings. We recently caught up with Deirdre and asked her a few questions about her research. 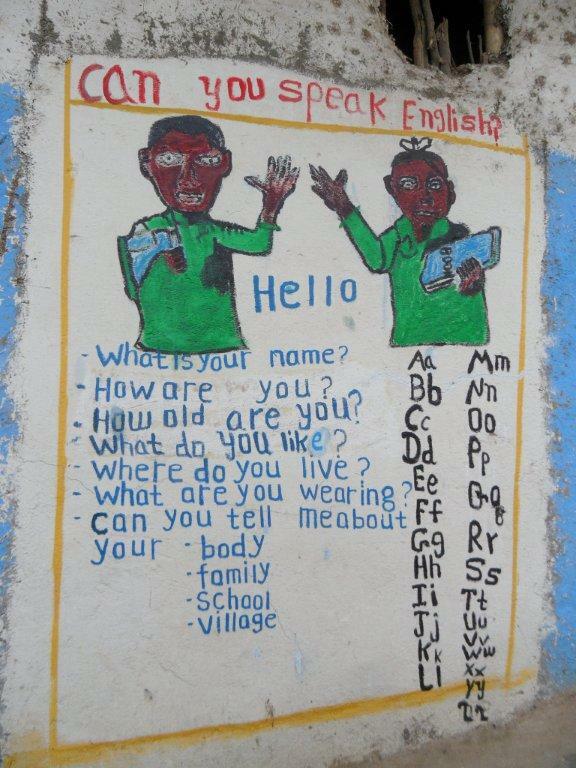 How did you first come to research dyslexia in multilingual contexts? I have been both drawn and driven to researching dyslexia in multilingual contexts. I have been interested for many years in language and communication disabilities in multilingual contexts. Language and meaning making are the bedrock of literacy practices and literacy skills in reading and writing. So I was very curious to take the next step to research difficulties in literacy skills, also known as dyslexia. Dyslexia usually emerges most noticeably in the early years of formal schooling when children are taught literacy skills in reading, writing and spelling. I was driven – very willingly- to researching dyslexia in multilingual contexts by the global increase in multilingual learners being introduced to English literacy skills. For example, many countries now introduce English as a Foreign Language (EFL) and English literacy skills to young learners, and from another perspective ‘superdiverse’ global population movements to the UK, EU and elsewhere, have brought multilingual learners into largely monolingual schools, creating multilingual contexts. Research is needed in these multilingual contexts to understand dyslexia-type difficulties. Why are there so many disciplines involved in this type of research? Dyslexia is a complex weave of the natural and the cultural, and these two main areas of knowledge require different approaches to investigation. Understanding dyslexia as a dichotomised study is essential. During the hundred years and more of researching dyslexia different branches of study have emerged to examine the multifaceted nature of dyslexia, taking account of the changing contexts of languages, literacy practices and skills and most recently digital. For example, a biological approach explains dyslexia through medical, neurological and genetic study; psychological studies understand dyslexia through cognitive processing skills and personality. Critical, social and cultural studies have opened up the field to even more concepts of the ‘situatedness’ of dyslexia. Yet there is a great need to develop rigorous informed research study in areas of pedagogy and intervention. Why is your book different from others in the field that have been published before? It offers a bird’s eye view of different understandings of dyslexia. This edited volume focuses on methodology, that is, the approaches to creating different knowledges adopted by different disciplines in their studies of dyslexia. Books and journals on dyslexia usually publish studies that share one approach and a set of procedures to creating knowledge. This volume includes a range of approaches and methods to engage readers in the different ways of knowing and understanding dyslexia. Readers can be better equipped to select research methods and findings for their purposes, to inform their own research studies in dyslexia. Who do you hope will find your book interesting/useful? I hope that this volume will be interesting and useful to professionals, researchers and parents for different reasons. I hope that those in professional development such as trainee teachers, EAL and EFL specialists, speech/language therapists and psychologists are persuaded of the complexity of the phenomenon of dyslexia. Similarly, I would imagine that novice researchers, such as undergraduates, masters students and new doctoral students, would be impressed by the disciplinary scope and methodological breadth of the study of dyslexia. I hope that more experienced researchers identify with an approach to understanding dyslexia that they want to develop and create new ways of understanding dyslexia in multilingual settings. Parents encountering dyslexia for the first time may find so many perspectives on dyslexia bewildering! Nevertheless, I hope that multilingual families find it helpful for their needs when they talk to teachers and other professionals about multilingual literacy difficulties. Perhaps there is a further group – multilingual speakers with dyslexia – who may find this book fascinating. I admire colleagues who have engaged in researching literacy practices and skills in other languages and other places so that we can understand the complexity of literacy/ies – for example Brian Street and Gunter Kress. I take my hat off to those who have published prolifically in the field of dyslexia and, more recently, included multilingual contexts, such as Gavin Reid and his colleagues. The research in multilingual and multicultural literacy pedagogy by colleagues such as Viv Edwards, Naz Rassool, Eve Gregory and Charmian Keener, has been instrumental in changing our perceptions and practices. Most of all I just love reading the work of these colleagues – I continue to find new insights and new meaning in their work. I have projects running with my doctoral students studying in the field of dyslexia in multilingual contexts and multilingual dyslexia. I am very interested in studying multimodality – such as digital literacy skills and practices – with multilingual young people with low literacy skills. If you found this interesting you can find more information about the book here. 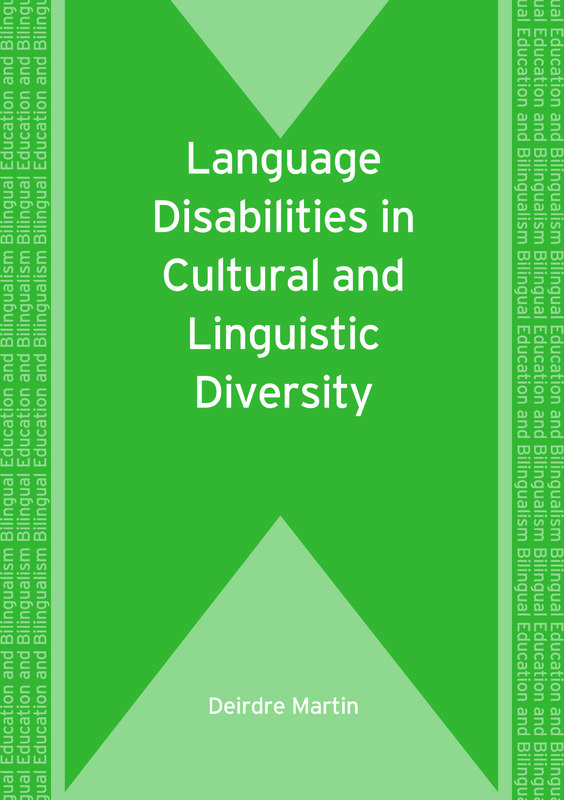 You might also be interested in Deirdre’s other book Language Disabilities in Cultural and Linguistic Diversity. 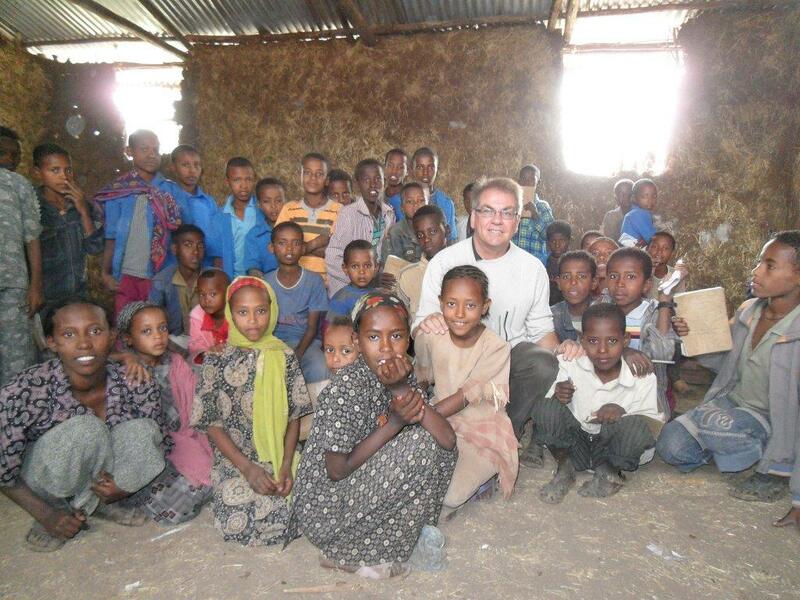 Back in January we posted about one of our authors, Martin Pütz’s literacy project in Ethiopia. (You can see the original post here.) 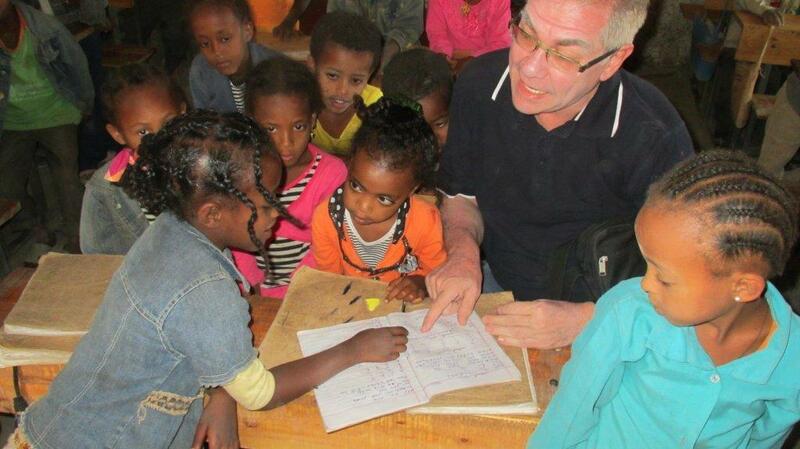 Since then Martin has returned from his latest trip to Ethiopia and has reported back to us on his progress. 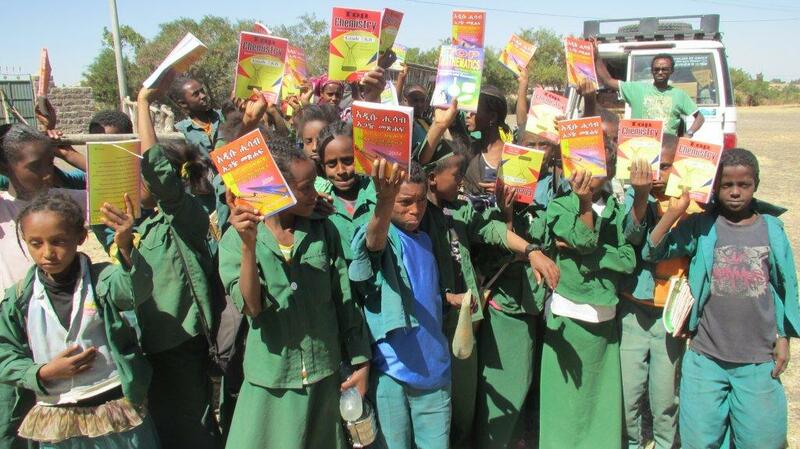 He visited 4 different schools and brought newly purchased textbooks both in English and Amharic as well as exercise books, notebooks, writing materials and anatomical models for biology classes. We look forward to hearing more about how the project develops in the future. 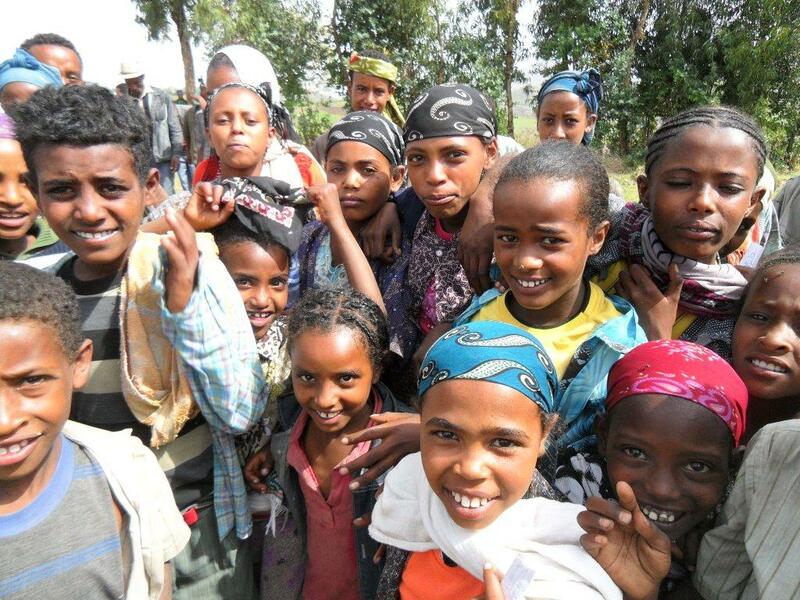 We were recently approached by one of our authors, Martin Pütz, who was asking for support for his education project which is helping to build, renovate and provide resources for four primary schools in Ethiopia (250kms south-east of the capital Addis Ababa). The basic goals of primary school curriculum are to prepare children for life and higher education through reading, writing, maths and other topics and lessons. Therefore, universal basic education is regarded a high priority for developing countries and is also a focus of the “Education for All Movement” as set out by UNESCO. 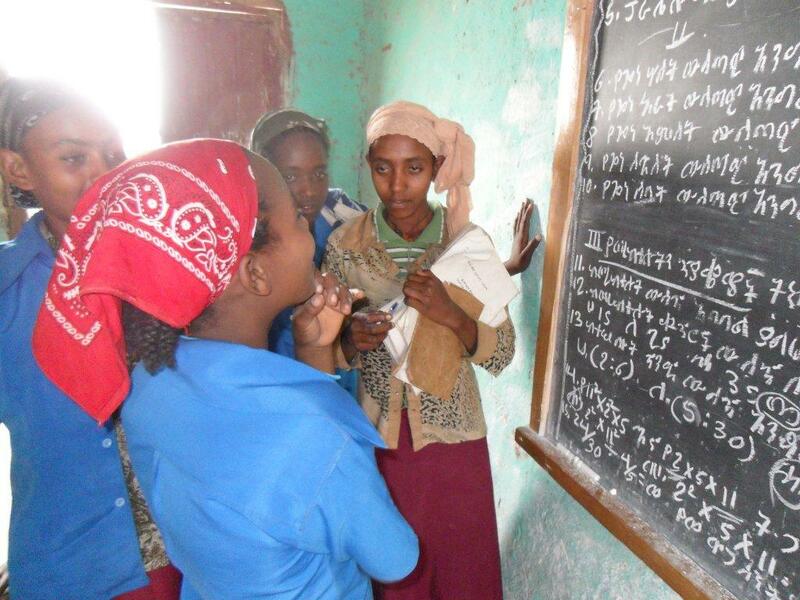 The project aims to place education high on the agenda, particularly for the most marginalized children from socio-economically disadvantaged nations such as Ethiopia. The present area of focus, Basic Education and Literacy, will be addressed in a number of ways. By providing textbooks, journals, magazines, and in the era of globalization even computers, students will be more motivated which will eventually lead to an improvement of cognitive skills and intellectual abilities. 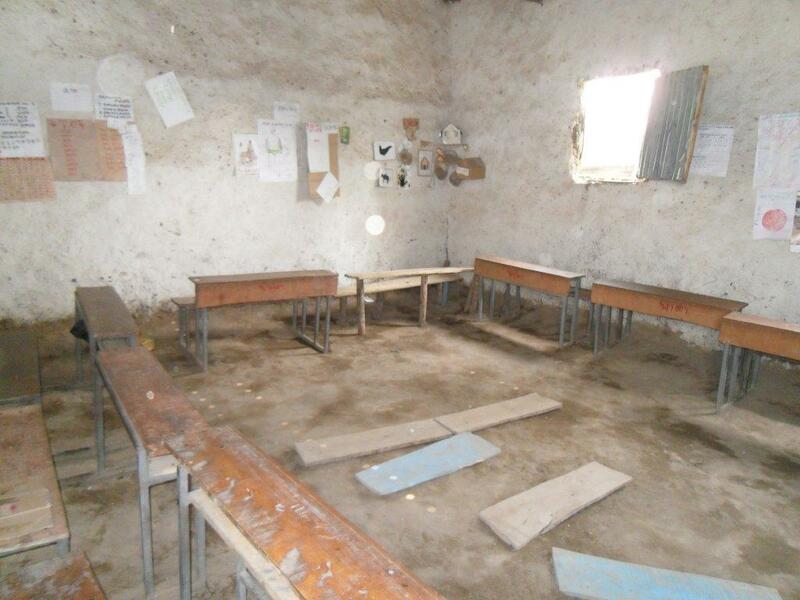 The availability of chairs, desks and blackboards will be conducive to a better learning environment and human dignity. In this vein, the renovation of walls, ceilings, floors and windows will be equally important to guarantee a healthy environment free of negative influences such as humidity and the lack of sufficient electricity in the classrooms. One other basic need of human beings is the necessity of being able to use toilets before, during and after lessons, something which is usually taken for granted in Western societies. Renovations will certainly help achieve the goal of providing Basic Education and Literacy and will thus lead to enhanced quality of education, a lower drop-out rate and better chances to succeed in social and professional life. The project site comprises four primary schools (Alem Gena School, Memihir Ager School, Demeko School, Dingay Tira School) near Addis Ababa. 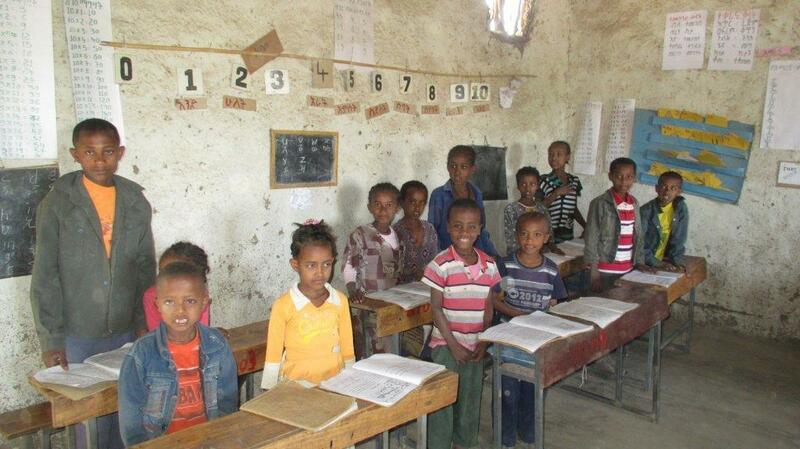 Originally, the schools were dusty, their walls were not well plastered and the children were exposed to wind and, in the rainy seasons, to showers of rain. There were no proper doors or windows, no toilets suitable for girls, no adequate potable water or hygienic sanitation facilities. However, Martin has raised money for the project and the repair work began in January 2012 and is expected to be finished by July 2013. Martin will visit and inspect the four schools in February 2013. The project has been funded by the Rotary Foundation, the Rotary Districts 1860 (Germany) and 1920 (Ethiopia) as well as the Rotary Clubs Bad-Bergzabern and Mittelhardt-Deidesheim. We were pleased to be able to contribute to the fund by donating money for resources and teaching both in the local language and in English. If you would like any more information about the project or would like to contribute please contact Martin at Puetz@uni-landau.de. 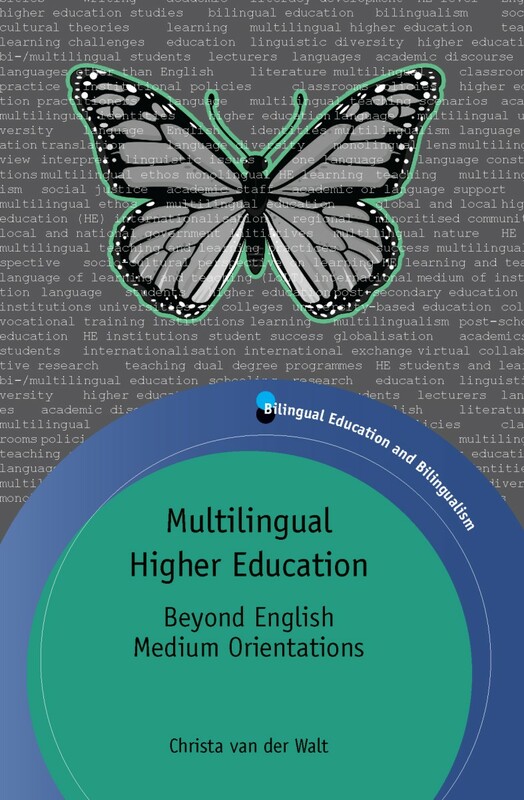 Multilingual Matters author Inge Kral’s book Talk, Text and Technology is published this week and here she explains a little about how the book came about. I have worked in remote Aboriginal Australia for more than 20 years as an educator and researcher. I worked with the Ngaanyatjarra Lands communities in the isolated desert region of Western Australia on education, language and literacy projects before, during, and after, undertaking research for Talk, Text and Technology. Importantly, this foundation allowed me to develop the kind of collaborative relationships with people that made this ethnographic study possible. 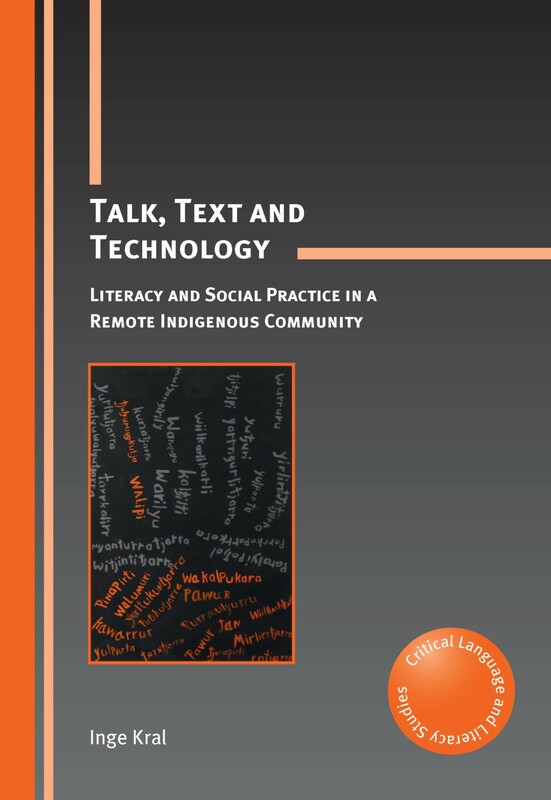 By having a long-term perspective on Indigenous education and by developing deep relationships with Aboriginal people, I knew that the literacy story was more nuanced and complex than was typically depicted in media and public policy accounts of literacy in the remote Indigenous sector. I deliberately chose to use a lifespan perspective that addressed the social, cultural, ideological and economic contingencies that have enabled (or disabled) literate practices in everyday life, as well as fine-grained ethnography in order to give voice to Aboriginal people’s own perspectives and experiences. The case study setting is unique. I was fortunate enough to encounter an extraordinary confluence of factors when embarking on this study of literacy as social practice. Not only was I able to gather stories from those who had made the transition from oral to literate modes of communication, I also witnessed the arrival of digital technologies and was able to document this profound change. 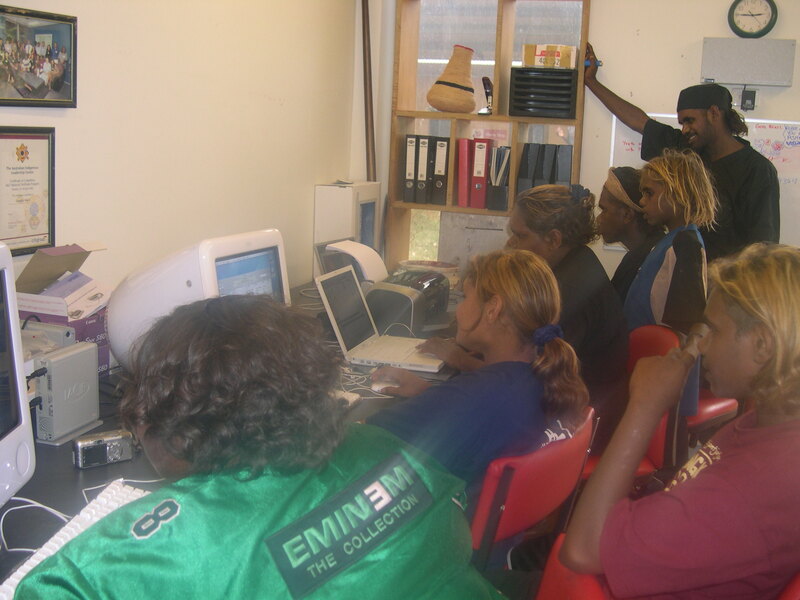 During the time that I did fieldwork, intermittently from around 2003 to 2010, I was able to observe and interview Ngaanyatjarra people whose experiences spanned the entire spectrum of the encounter with alphabetic and now digital literacies. From the very old who were born into the traditional hunter-gatherer existence whose first experiences of the white man’s world was the mission school at Warburton Ranges, to the current youth generation who have grown up in a world where computers, the internet, and digital technology are the norm. A case study such as this throws the spotlight not only on literacy, but also on the infinite human capacity for learning and for adoption of, and adaption to, change no matter what social or cultural context. For further information on Inge’s book Talk, Text and Technology please take a look at our website.